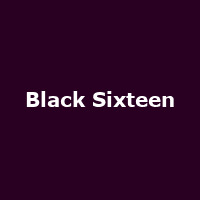 "Black Sixteen are a London based rock band. Their eponymous self-produced debut EP was released in early 2012. The band was founded by frontman Amir Khan and drummer Matt Burn, also featuring guitarist Chris Campion. Their early style of delicately heavy rock has evolved into a venomous form of dark grunge noise, a bitter tongued pill that burns on the way down."